Natanael Bres is from France. He is 21 years old. He started riding when he was only 5 years old and competed for the first time two years later. In 2013, he finished 2nd in the Supercross French Championship. In 2016, he finished 5th in the MX2 Elite French championship, and top 10 in the European MX2 championship. Unfortunately, he was injured in 2017. 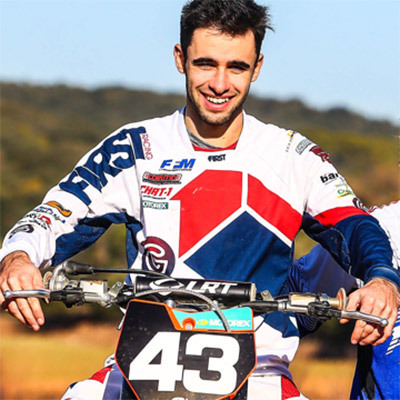 Back in 2018, Natanael will ride for the LRT KTM Team. He will race the European MX2 Championship and his goal is to finish in the top 5. He will also make his debut in the MX2 World Championship, and his goal is to score points in each race he will participate.